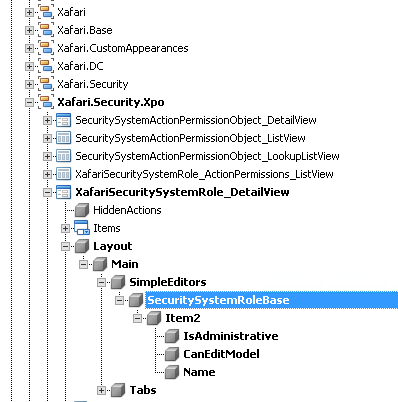 I've implemented the Xafari Security system, however, the default layout of the XafariSecuritySystemRole_DetailView is untidy and I need to customise it. 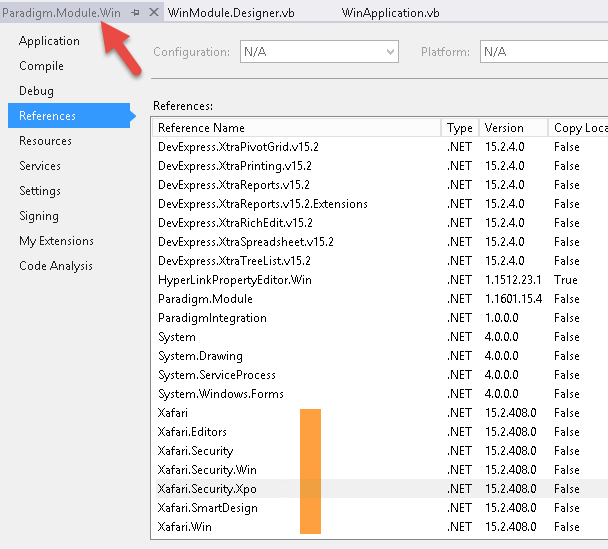 Any layout customisations I make to the XafariSecuritySystemRole_DetailView does not reflect when I run the application? 1. 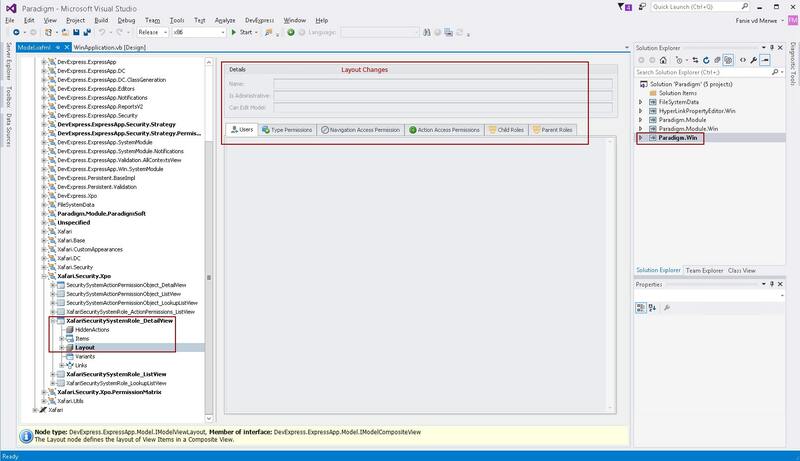 Visual Studio Layout - showing the customisations made to the XafariSecuritySystemRole_DetailView in visual studio. 2. 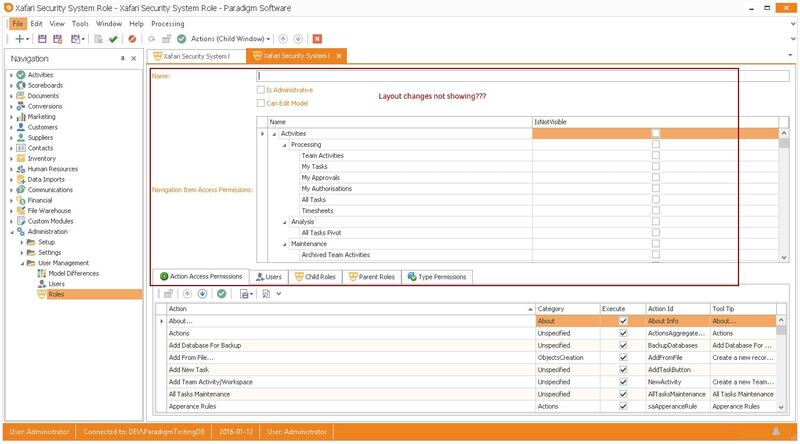 Application Layout - showing the layout of the Role Detail View in the application. At first, you might try removing all the .xafml files from the bin folder of your project. If this method doesn't resolve your issue, let us know about it and inform us of your Xafari version. 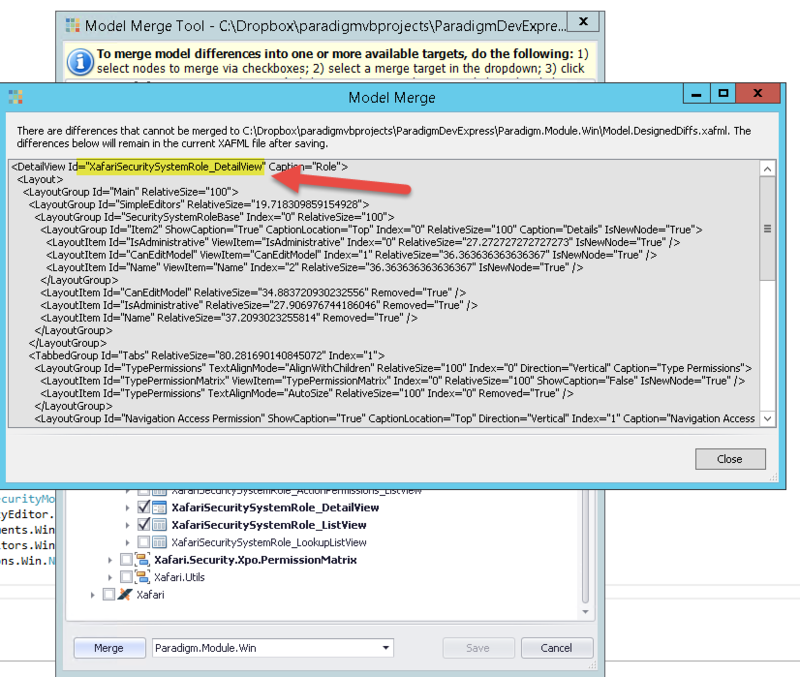 I'm trying to merge the changes I made in my application model (model.xaml) to the middle tier (app.module.win) but get the error as shown in file 01. 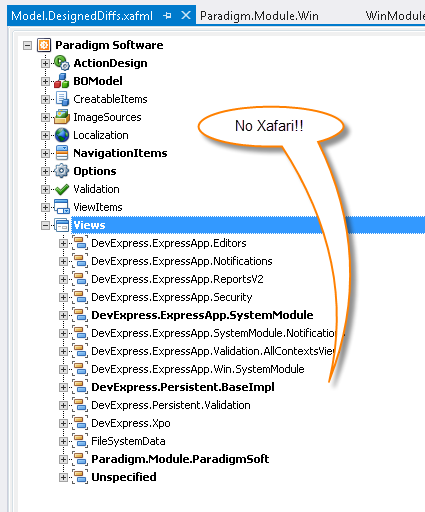 The error marked in yellow could be because I can't see the XafariSecuritySystemRole_DetailView in the module.win tier. 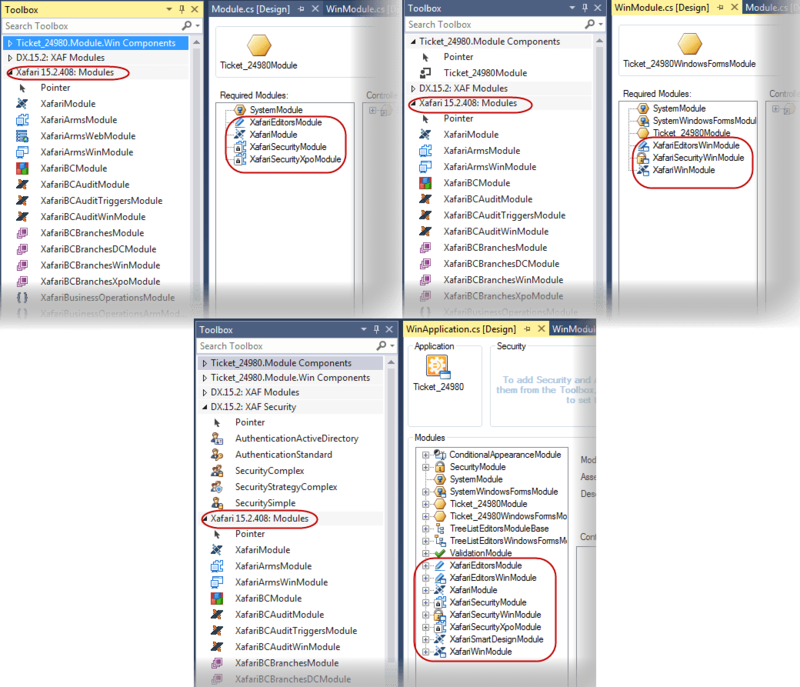 As you can see in file 02, I've referenced all the Xafari files but file 03 shows that it does not appear on the module.win level. Have you any suggestions how I can see the layout as shown in file 04 in the middle tier as I assume that would solve my problem? Should I initialise the dlls in code as well? The main idea is to ship the changes in the exe. If I can see the XafariSecuritySystemRole_DetailView on the module.win level, i think the changes will ship out-of-the-box. I hope you can point me to a solution. Thanks for the provided information, Steve. We are going to investigate it. Give us some time. If you need any further assistance on this subject, please let us know about it. After duplicating your layout as shown above, we manage to make the changes on the module.win level. So there is no need to merge the changes from the application layer. Our problem is sorted. Thanks for the help!